In a Nutshell: Obtaining a college education seems to cost more every year and averaged $34,740 for one year at a private college in 2017-18. 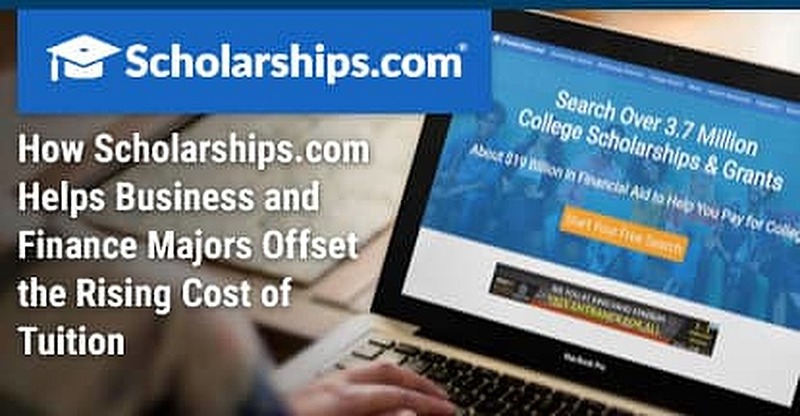 To offset some of those costs, Scholarships.com offers a database of more than 3.7 million searchable scholarship opportunities that can be filtered to ensure students only see scholarships they qualify for. Each scholarship listing is hand-vetted by a Scholarships.com staff member to confirm its legitimacy and funding. The company also runs RightStudent.com, a college-facing website that helps institutions search for and recruit student candidates who are the best for their schools. When I was younger, my mother would stress to me the importance of education by saying that no matter what happened in my life, no one could ever take away my knowledge. I came to understand that sentiment over time. When I received my first college tuition bill, I realized just how expensive that knowledge was going to be. Careers in finance and business are among the most competitive in the working world. That competition starts in college, where students seek ways to stand out to top programs that can be pricey to attend. According to statistics, the average cost of tuition and fees for the 2017–2018 school year was $34,740 at private colleges, $9,970 for state residents at public colleges, and $25,620 for out-of-state residents attending public universities. The sticker shock is enough to make many people find other options, but it doesn’t have to be that way. Millions of non-institutional scholarships — meaning they’re offered by entities outside of the school — are awarded to students each year based on a host of qualifications. Some are available to students in certain cities or regions and others are targeted at students studying specific fields. Others are given to high school seniors who find the most creative way to wear Duck Tape to prom. The task of searching for and applying to scholarships can be as overwhelming as selecting classes for your first semester at college. To make the process a little less daunting, Scholarships.com offers a database of more than 3.7 million scholarships that can be searched, filtered, and saved for later access from a free user account. “Most of our scholarships are non-institutional, so generally we’re going to have what are known as outside scholarships — meaning they supplement the ones you get from the school,” said Kevin N. Ladd, COO at Scholarships.com. Once a new user fills out a profile containing basic personal information, a scholarship search narrows the 3.7 million possibilities down to options for which the user is eligible. There is no limit to how many scholarships a user can apply for. Although Scholarships.com advertises a database of 3.7 million scholarships, Ladd concedes the number could be much higher. New scholarships are added every day — anywhere from two to 102, according to Ladd — offering new opportunities to students. With so many opportunities, Ladd and his team suggest students be thorough when filling out a profile to eliminate scholarships they do not qualify for. Profiles can be refined at any time to broaden or narrow results. The entire process of signing up for an account takes less than five minutes. In addition to the basic scholarship search, Scholarships.com also offers an index of a large percentage of their database. Users can manually narrow the options listed by specific skill or category. Ladd told the story of a woman from Florida who, with the help of Scholarships.com, identified over 200 different scholarships for which she was eligible. Over several months, she applied for each one. A team from Scholarships.com vets each listing by hand before it is added to the website to make sure it is legitimate, funded, and filtering to the correct audience. The company starts by researching the entity offering the scholarship, taking many things into consideration when determining whether a scholarship is legitimate and should be listed. One thing that typically keeps out a possible listing is a lack of transparency or any attempt to hide a company or organization’s contact details. Ladd said the company has multiple attributes it searches to confirm the legitimacy of a scholarship offer. While lacking in one or two may not be a deal breaker, he said a multitude of red flags could lead to a rejection of the scholarship by the database. Scholarships.com spent the first few years of its internet life perfecting the search function that matches students to the right scholarship opportunities. The company began branching out in the mid-2000s, once its reputation was cemented among students. 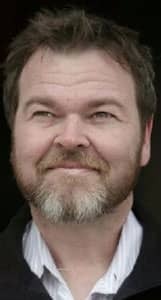 Kevin N. Ladd is the COO at Scholarships.com. RightStudent.com looks to do for universities what Scholarships.com does for students. The website gives colleges a new way to connect with students, giving schools access to a database of students that can be filtered to show the best prospects for recruitment. Scholarships.com also offers free tools for preparing a college application in its student resource section. A growing blog network provides news and insights into college life with more nuanced content like how to apply for college, how to pick a roommate, dorm cooking, and more. Looking toward the future, Ladd says the next evolution of Scholarships.com may be adding options for tuition assistance to the growing number of pricey private high schools.